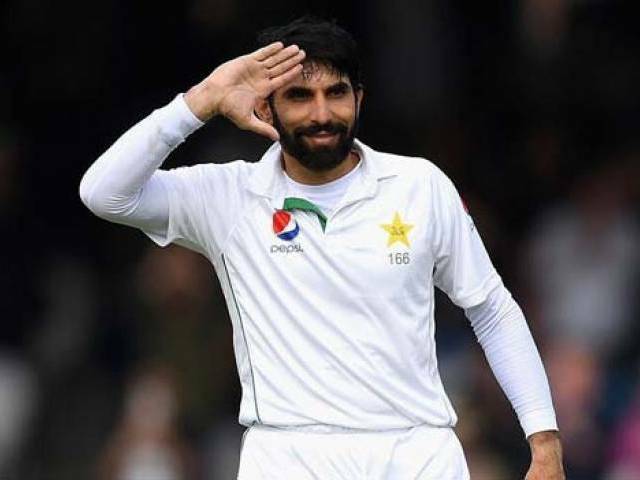 Pakistan's disputed cricket team skipper Misbah, oft criticized for his age, has become the oldest man in the history of cricket to score a century at the age of 42 at Lords against England in the first test match being played between the two countries these days. It may be a coincidence that this is Misbah's first ever century playing against England in England. He thus becomes the sixth oldest player in Test history to make a century. After scoring his 100, Misbah performed several press-ups, just as 73-year-old actor Jack Palance did when winning the Best Supporting Actor Oscar at the 1992 Academy awards.